Best enjoyed after beating Grand Theft Auto IV, this great double-pack of episodic content shows you sides of Liberty City you never knew existed. 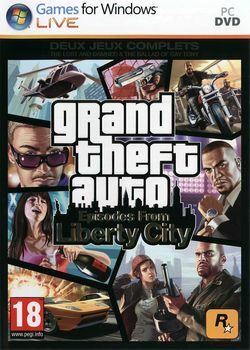 Grand Theft Auto: Episodes from Liberty City delivers two games based on the world of Liberty City. Both games — The Lost & Damned and The Ballad of Gay Tony — offer expansive, story-based experiences inside this wild and dangerous city. 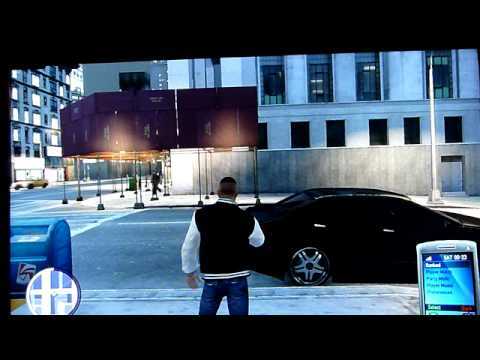 The package does not require a copy of the original Grand Theft Auto IV to play. THE LOST AND DAMNED — Johnny is a veteran member of The Lost, a notorious biker gang. Johnny has been creating business opportunities for The Lost in Liberty City, but his first loyalty must be to the patch he wears on his back and to Billy Grey, the club’s President. However, when Billy returns from rehab hell-bent on bloodshed and debauchery, Johnny finds himself in the middle of a vicious turf war with rival gangs for control of a city torn apart by violence and corruption. Can the brotherhood survive? THE BALLAD OF GAY TONY — Grand Theft Auto IV’s second downloadable episode injects Liberty City with an overdose of guns, glitz, and grime. As Luis Lopez, part-time hoodlum and full-time assistant to legendary nightclub impresario Tony Prince (aka “Gay Tony”), players will struggle with the competing loyalties of family and friends, and with the uncertainty about who is real and who is fake in a world in which everyone has a price.